We love to garden in our house. Since I cook morning, noon, and night we go through a lot of fresh produce and herbs. One trick I learned a long time ago was ways to replant and get more life out of my green onions. Say what?!? 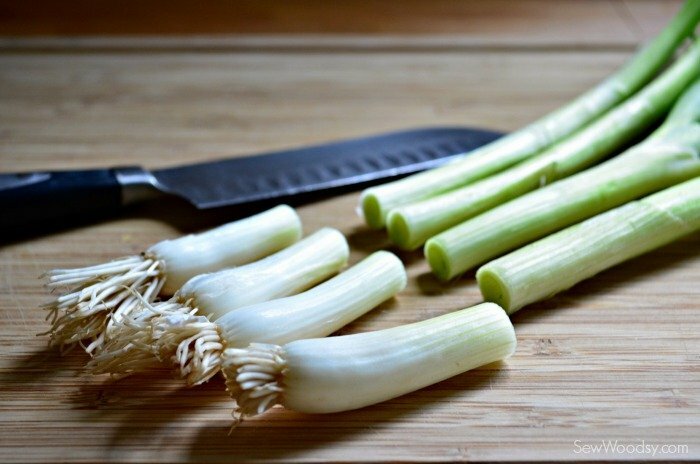 Yes, DO NOT throw the root ends from green onions away. 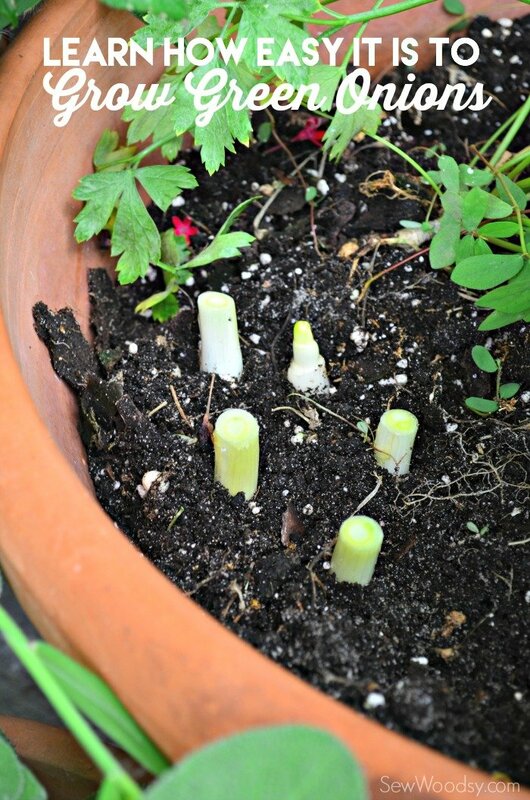 You can actually plant them and regenerate a few rounds of green onions before they are no longer good. My friends at OXO sent me a few of their gardening tools to show you just how I grow green onions using “plant scraps”. 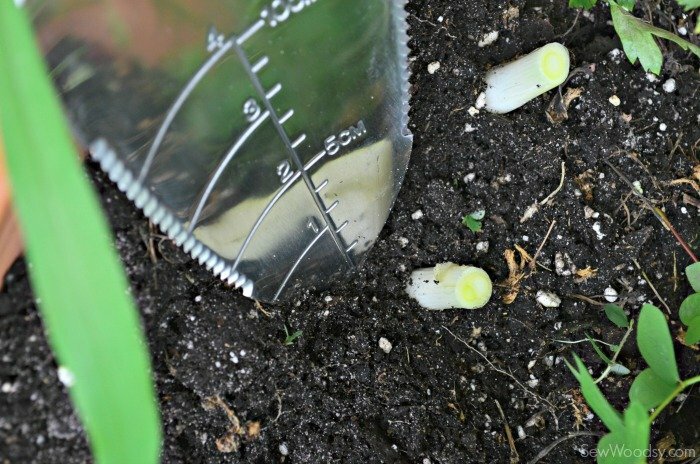 There are two ways you can plant the green onions; in water and in dirt. 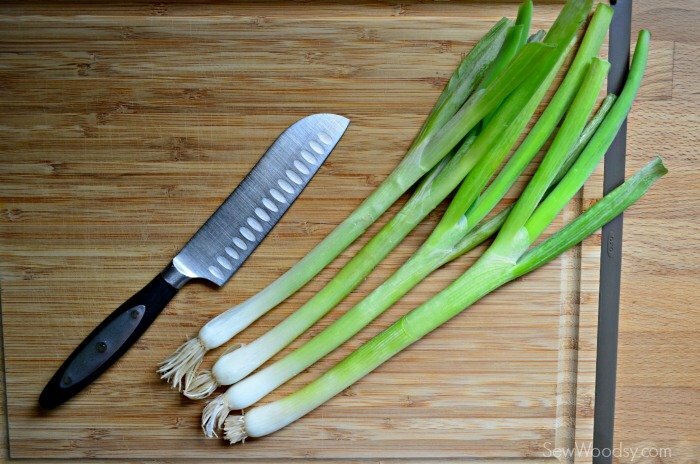 First, up you need to cut the ends off of the green onions if you haven’t done so already… *large wood OXO cutting board pictured above. I like to keep a good inch to 2-inches on the ends. 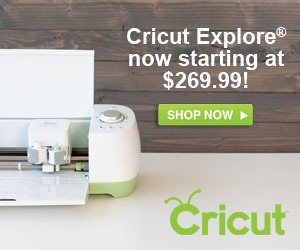 This makes it easier to plant. 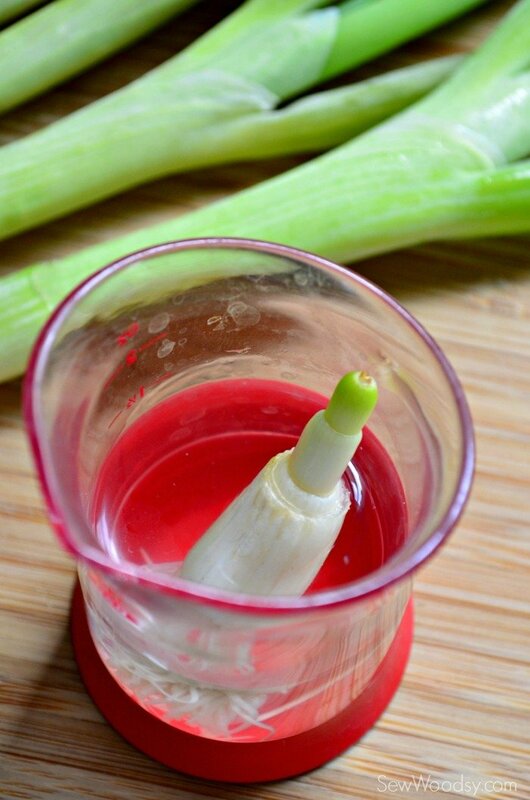 Here is a handy tip… If I’m cooking at night and have the root ends cut off I’ll stick them in a small glass of water to keep them alive. My small glass happens to be an OXO liquid measuring beaker set. Then the next day or in this case a few days later I have a free 5 minutes I’ll plant the ends in the soil then. Planting the green onions is easy. I always plant them with my parsley. Fist I till the soil, using the OXO Cultivator. 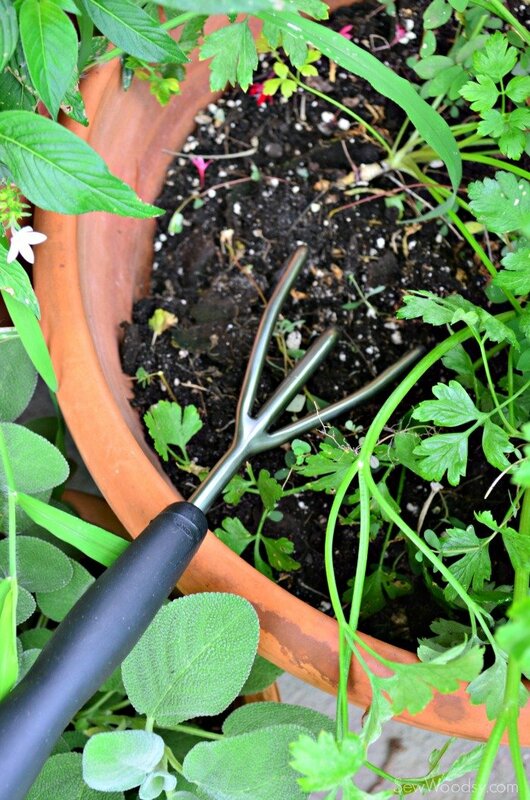 This tool is perfect for perfect for stirring and loosening soil, and pulling up weeds. 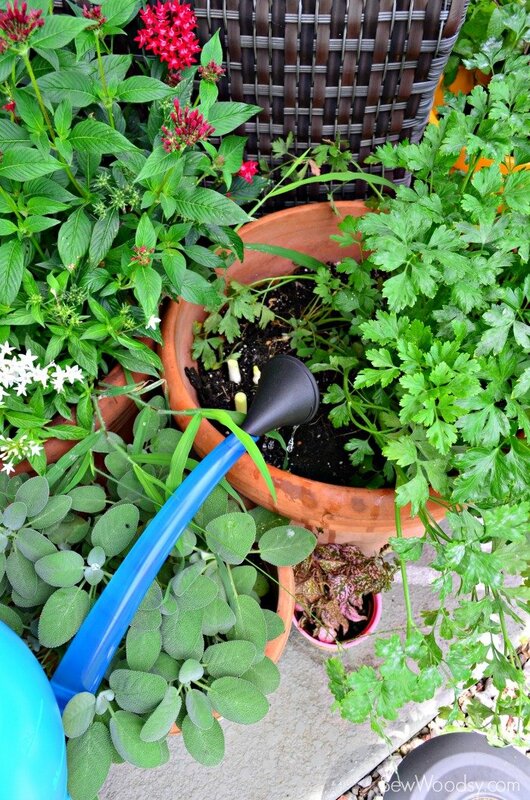 That’s exactly what I did… tons of over grown weeds in my parsley pot. 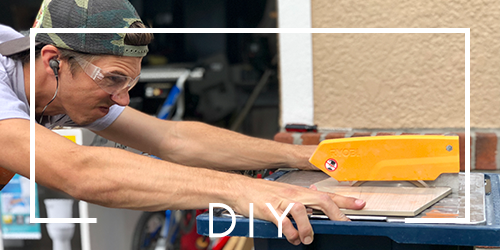 Next up, using the trowel, make a small hole where you want to plant the green onion. What I love about this trowel is that there are large measurement markings at one-inch and one-centimeter intervals are easy to read! 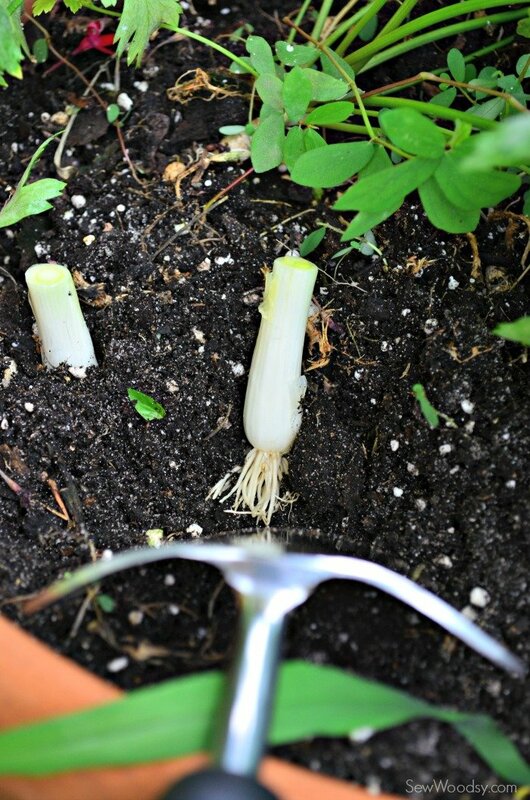 Place the green onion in the soil. Then pat the soil all around the green onion root to secure it in place. That’s it! Your onions are planted. Now, just water the green onions and that’s it. I used the Outdoor Pour and Store Watering Can. 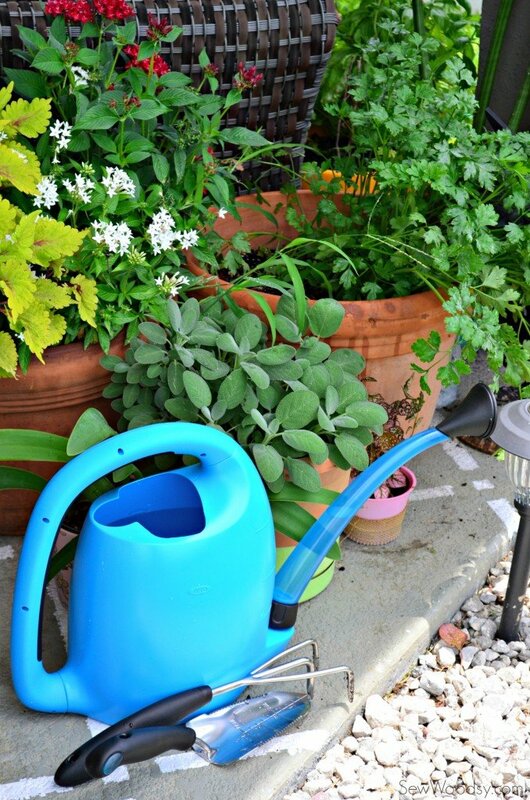 This is a very large watering can (2.11 gallons) and the spout rotates back toward the body for easier filling and space-efficient storage! In about a week you’ll have green onions again. Then just cut them and watch them grow again. You can easily get 4-6 batches of onions if you continue to cut them just as they grow long enough like you would get in the store. 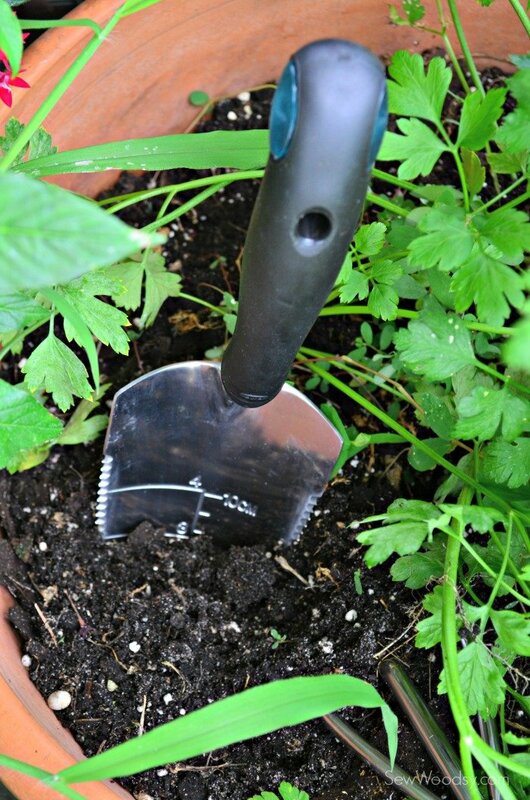 Disclaimer: I received gardening tools from OXO but was not compensated or required to share my experience. As always all opinions are my own. I’ve started mine indoors but will follow your lead and plant them with parsley outside. OXO tools are the best! Yes outside is best Sandra!